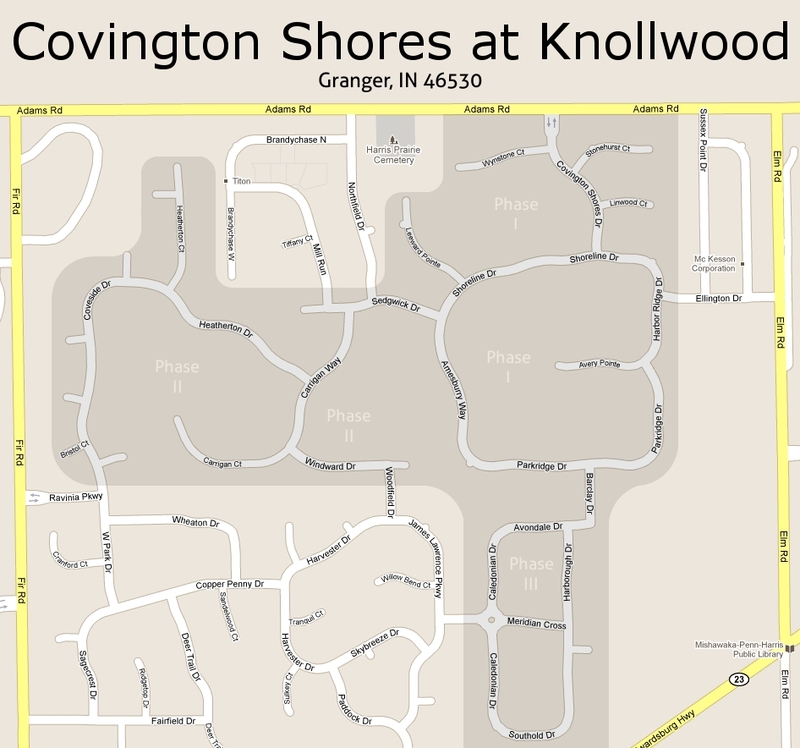 Welcome to Covington Shores at Knollwood! Our neighborhood is in the heart of Granger and is easily accessible to many restaurants, businesses, and places of interest in the greater Michiana area. Our surrounding schools are some of the best in the State. We have an active Board and numerous volunteer committees that help make Covington Shores a wonderful place to live. If you are currently a homeowner in Covington Shores and have registered for the site, you will find great information in the Resident’s Area including an informative FAQ, Classifieds, multiple Directories of resident information and services, Pictures of neighborhood events, Message Boards and more. You can subscribe to receive e-mail notifications for new Message Board postings and even post your own topics. Also, visit the Resident Picks area to learn about businesses your neighbors have had good experiences with. If you are considering making Covington Shores your home, you can browse the public access areas of the site in the Welcome section to learn more about us. Check out our neighborhood pictures, our award winning schools and our local links. Please feel free to email us if you need some more information.